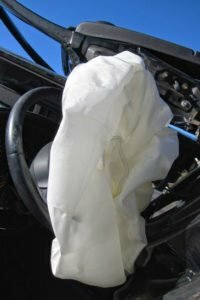 What Are the 4 Most Common Car Accident Injuries? Auto manufacturers invest billions of dollars into developing new, more effective safety technologies. Lane departure warnings, crash avoidance systems, backup cameras – these innovations are preventing accidents and saving lives. Unfortunately, the latest safety technologies cannot protect you from all injuries. If you were hurt by a negligent driver in Kentucky, turn to the Troutman Law Office for legal advice. Matt Troutman is a car accident attorney in Louisville who will evaluate your crash, assess the police report and determine if you have grounds for a claim. Mr. Troutman has the litigation experience, knowledge and resources to help you recover the maximum compensation. Call to schedule a free case evaluation. You can also learn more about car accident injury lawsuits by visiting http://car-accident.usattorneys.com/. What Areas of the Body Are Most Susceptible to Car Accident Injuries? Avoiding distractions, driving at a safe speed, obeying traffic laws – these are all effective ways to reduce your risk of crashing. Unfortunately, you cannot control the actions of other drivers, and all it takes is one negligent motorist to cause a devastating crash. 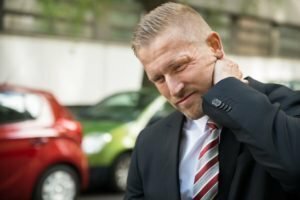 Many people assume that whiplash will heal without medical intervention. However, a sudden jerk of your neck can cause muscle tears, ligament damage and even a spinal cord injury. These can be exorbitantly expensive to treat and leave you sidelined from work for weeks or even months while you recover. Back injuries are particularly common in side-impact accidents. They range from minor muscle strain to permanent paralysis. According to the Christopher and Dana Reeve Foundation, a person who suffers tetraplegia after a car wreck can expect to pay at least $1 million during the first year of treatment. That does not include lost income. The average treatment cost for each subsequent year is $184,891. Even if you suffer only a partial loss of motor function, the Foundation estimates that you could pay $347,484 during the first year of treatment and $42,206 for each subsequent year. If your head impacts the steering wheel, dashboard or side window, it is likely that you will suffer a traumatic brain injury. These range from mild concussions to diffuse axonal and contusions. You should seek immediate medical care if you notice dizziness, disorientation or any sign of a head wound such as bruising or bleeding. Wearing a seat belt is the most effective way to prevent serious injuries and death in the event of an accident. However, in a high-speed collision, pressure from the seat belt can cause chest injuries such as broken ribs. If you were injured by a distracted, drunk or negligent driver in Kentucky, contact the Troutman Law Office. As your car accident attorney in Louisville, Mr. Troutman will compassionately represent your interests. Don’t let the insurance company bully you into an unfair settlement. Call to schedule a free consultation.